I didn’t think that I would have a chance to get any sewing done during the baby’s naps today because it was a day off school but the big kids were both itching to get their hands on my new sewing machine. I let them man the foot control and the thread cutter and we stitched the triangles into blocks. So now I have all 16 blocks complete. I believe that they are just over 10″ complete. I hope to sew the blocks together tomorrow. I was trying to estimate the number of different fabrics used. I think I must have used scraps of at least 25, probably more, Christmas prints. I even used scraps for the ivory sections. As you can see in the close up, I was brazen enough to use fine wale corduroy scraps from my daughter’s Christmas dress one year. I think that they work in well for a winter quilt and add nice texture. I do worry a little about quilting them though. There are some ivory on ivory snowflake prints, Kona Ivory, some other ivory cotton that I found in my collection, and one lonely wedge of ivory colored muslin. 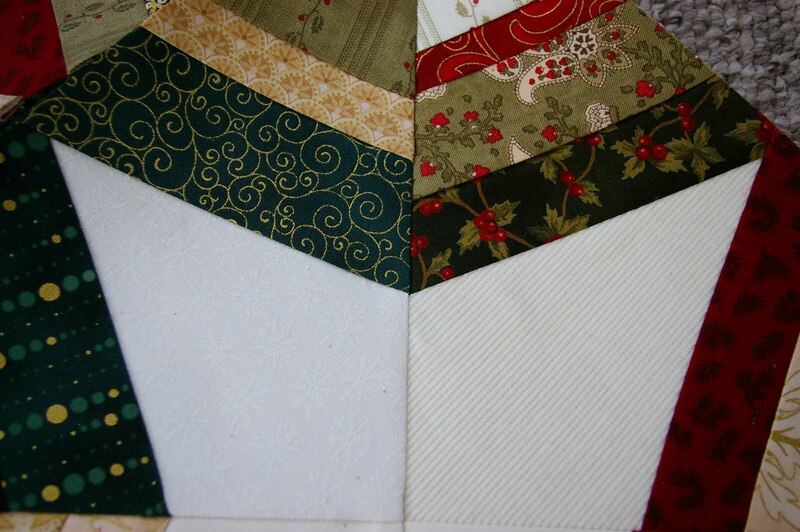 I have backing fabric all chosen that I bought on sale right after Christmas but no quilting plan. I was hoping to use straight line quilting which works out well since I still need to play more with free motion quilting to get it right on my new machine! 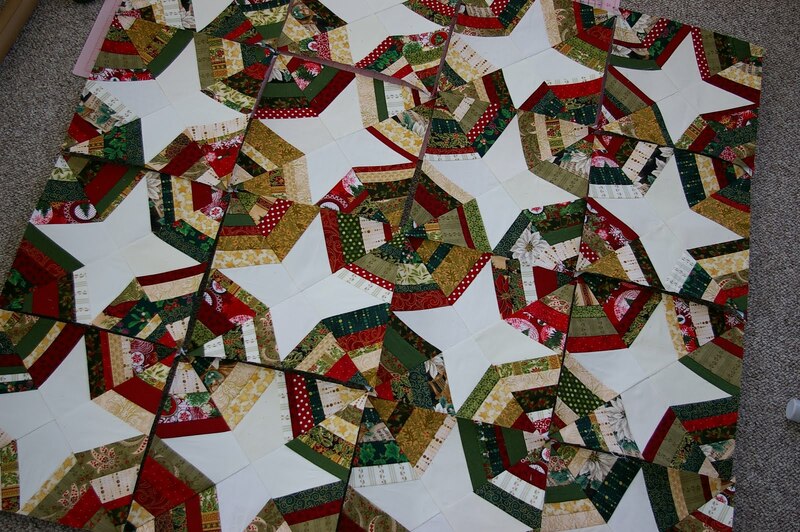 I am heading to Flickr now to find straight line quilting inspiration.